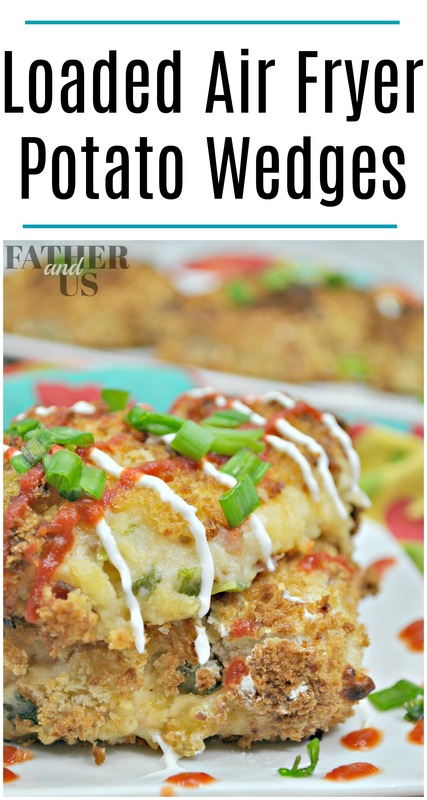 These Loaded Air Fryer Potato Wedges are so easy to make and are perfect for an occasion. Whether you use them as a side dish, a snack or an Hors d’oeuvre, these Air Fryer Potato Wedges will do the job. They are nice and crispy on the outside and soft and warm on the inside. Even better, they are made with a Hot Air Fryer. So you get all the benefits of that fried food experience without the guilt of all of the grease and oil. 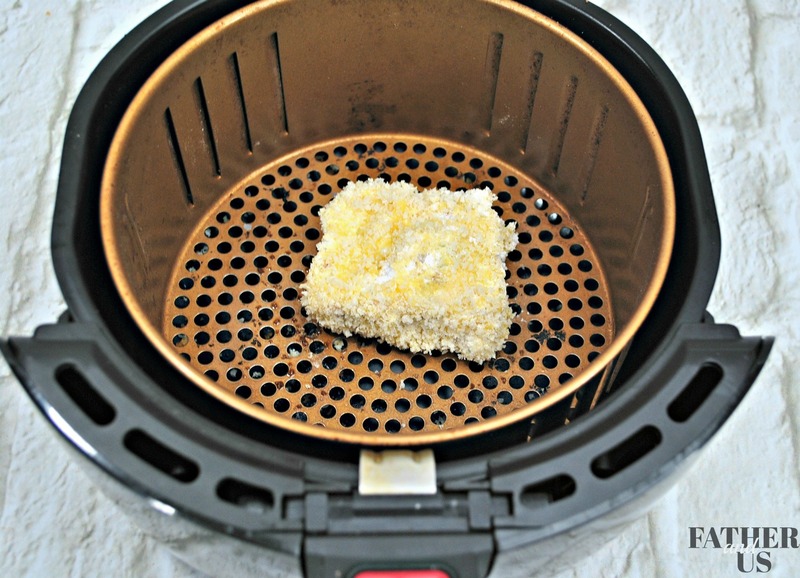 This is one of my favorite Air Fryer Potato Recipes. 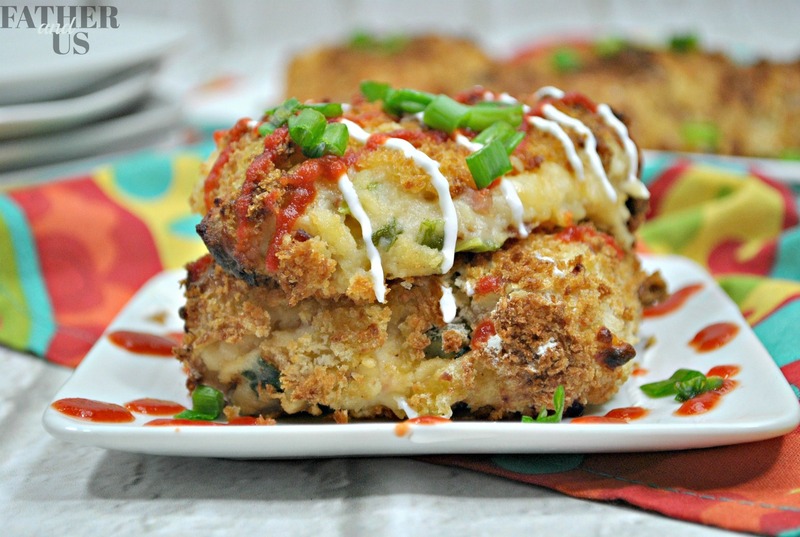 There are so many other things you can do with an Air Fryer. If you would like to try out another Potato recipe, please check out my Air Fryer Mashed Potato Cakes. I also have a great Air Fryer Appetizer for your next party with these Air Fryer Chicken Wings. 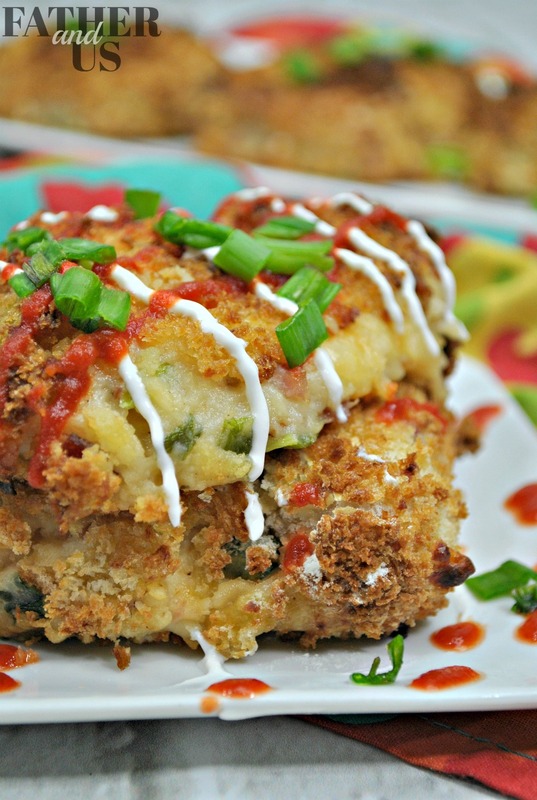 They are simple, easy and delicious as well! One more great idea are these gooey and crispy homemade Air Fryer Mozzarella Sticks. If you need a dessert, the Air Fryer has you covered with Air Fryer Blueberry Pies. If you don’t already have one, go out and grab an Air Fryer and dive right in. Non – stick Olive oil spray . Stir the pre-cooked mashed potatoes in a large bowl. 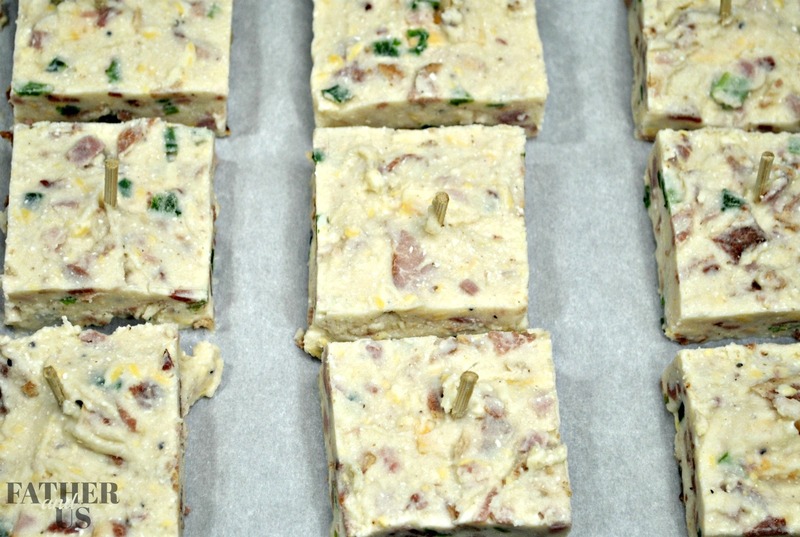 Mix together the colby – jack cheese, cream cheese, bacon, jalapeno’s, diced ham, green onions, salt, pepper, and onion powder in a second bowl. Add the mash potatoes to the cheese mixture together and stir to combine until smooth. Scoop the potato mixture onto the prepared baking sheet. With a knife smooth out the top of the mixture. 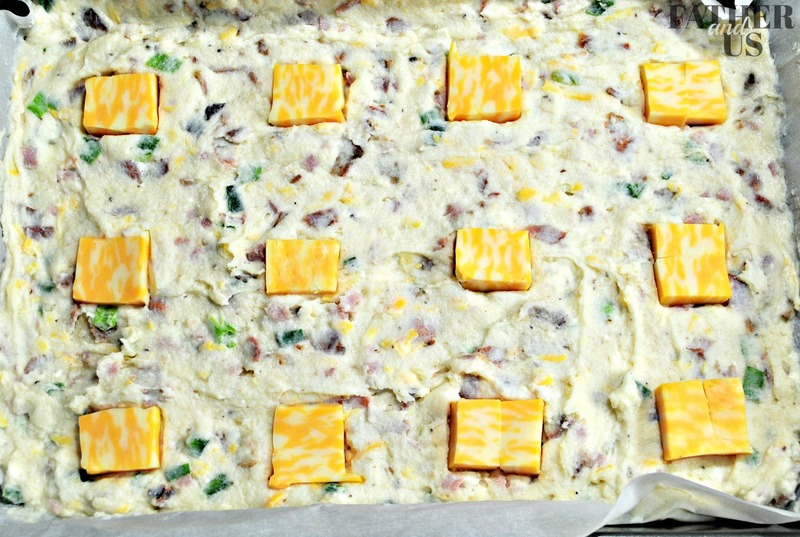 Press the cheese squares in the center of the potato mixture. 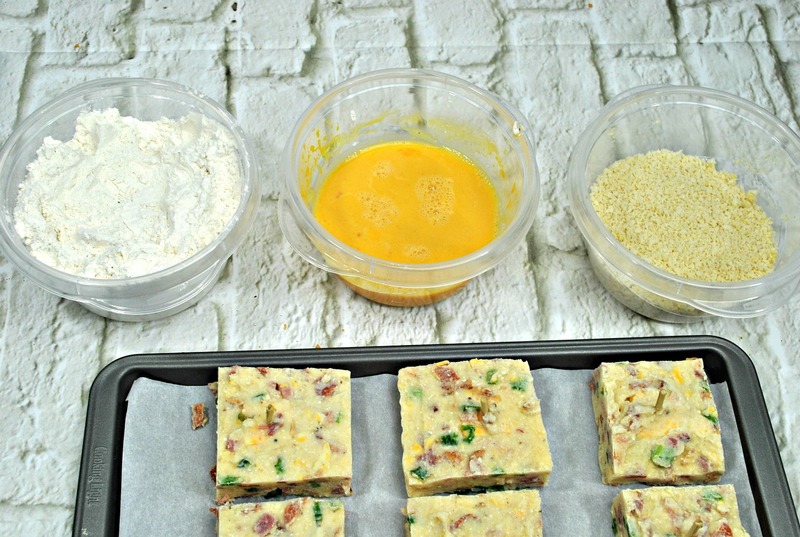 With the potato mixture, cover and seal the tops of the cheese squares. Smooth out the tops of each potato mixture. Slice the mixture into squares making sure that each square has a cheese square in the middle. Put the flour in a medium bowl. Pour the beaten eggs into a second medium bowl. In a third medium bowl add panko crumbs. 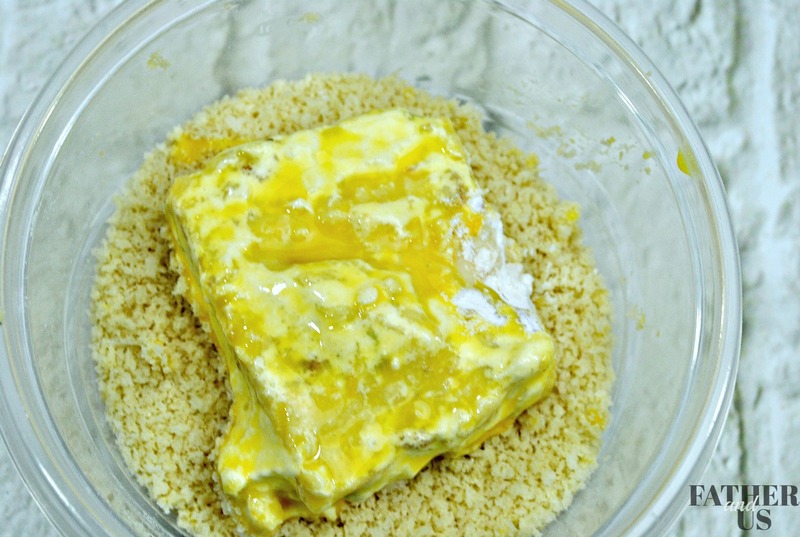 Dip each square into the flour, shake off the excess. Then dredge the same square in the egg. Then dip the squares into the panko. Set the squares to the side until all are completed. Put 3-4 potato cakes in the basket, in a single layer. Mist the potato squares with a bit of olive oil. Bake at 400° for 14 minutes. Flip the potato squares after 7 minutes for even cooking. Garnish the potato dippers with crumbled bacon, shredded Parmesan cheese, and chopped green onions. Suggested toppings: Sour cream, Sriracha sauce, tabasco, chives, salsa. Non - stick Olive oil spray . 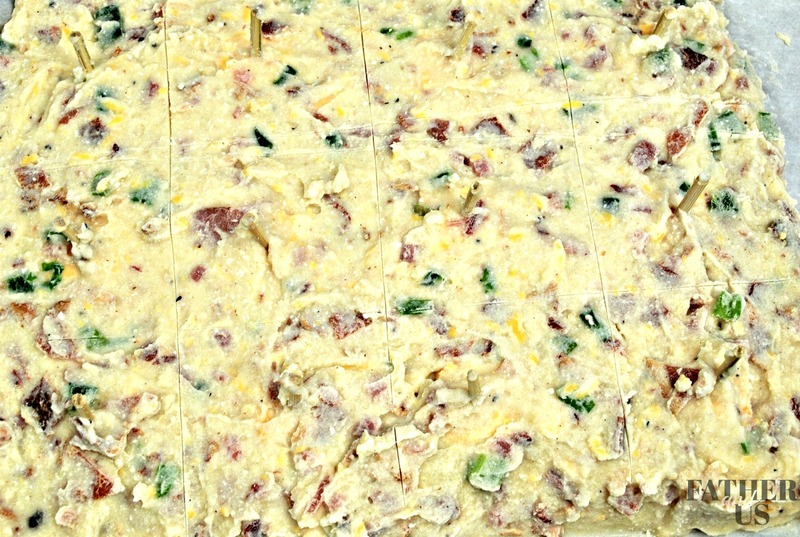 Mix together the colby - jack cheese, cream cheese, bacon, jalapeno's, diced ham, green onions, salt, pepper, and onion powder in a second bowl. Serve warm. Garnish the potato dippers with crumbled bacon, shredded Parmesan cheese, and chopped green onions. Suggested toppings: Sour cream, Sriracha sauce, tobacco, chives, salsa.